Although California‘s constitution guarantees public access to the state’s beaches up to the mean high-tide line, this right is often thwarted by property owners with misleading signs, illegal fences, and intimidating security guards. The Los Angeles Urban Rangers have stepped into this breach with their Guide and Owners Manual: publications that delineate public and private areas, rights-of-way and access points. The Los Angeles Urban Rangers, founded in 2003, offer regular safaris to visit Malibu beaches throughout the Los Angeles region. 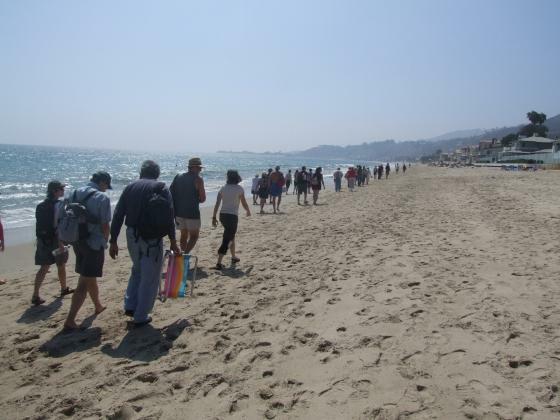 The Malibu Public Beaches Guide emerged from Ranger Jenny Price’s column on the LA Observed blog.